The Spanish presidency is getting underway in a genuinely new context. The Lisbon Treaty entered into force a month and a half ago, but many parts of it have still to be implemented. Indeed, this is Spain’s top priority, and doubtless no mean feat when taken together with improving the economic situation, safeguarding Europe’s place on the world stage and pursuing work on internal and external security. Spain has chosen “Innovating Europe” as its slogan, which can be understood as inventing Europe, as a Europe that is innovative in nature or even as renewing Europe. In this respect, Spain has good pedigree. Last time round, the catchphrase was “More Europe”. This too can be understood in many ways. Both slogans convey Spain’s strong commitment to the European Union and its development. Spain is kicking off a new troika presidency, the other members of which are Belgium and Hungary. The significance of the troika has been enhanced by the Lisbon Treaty and manifests an attempt to achieve greater continuity and to take a more long-term approach. These three countries have a joint programme for one and a half years, and Spain is now putting the first part of that programme into practice. With the arrival of the Lisbon Treaty, a permanent president has been chosen for the European Council, while the Foreign Affairs Council will be presided over by a high representative who is also a vice-president of the Commission. The former is appointed for two and a half years, while the latter will remain in office for the whole of the Commission’s mandate, i.e. five years. This is also a big step towards continuity and working for the long-term. The President of the European Council, former Belgian Prime Minister Herman Van Rompuy, has been busy doing the rounds of the member states. He visited Finland immediately following his appointment. He has also set out his working methods and plans in public. He has been labelled a seeker of consensus – a title well earned in the arena of domestic politics in Belgium – and will work to get decisions taken. He will soon be afforded his first opportunity to show his mettle, on 11 February at the extraordinary meeting of the European Council. The purpose of this Council is to reflect on what is needed to get Europe out of the financial crisis and to lay the foundations for new growth and new stability. The aim is also to take stock of the situation following the Copenhagen climate conference. There is no time to be wasted on what might have been; we have to look to the future. Both Spain and President Van Rompuy are devoting a lot of energy to the EU 2020 strategy that will succeed the Lisbon Strategy. Everybody agrees that the objectives of the Lisbon Strategy were the right ones – barring some discussion on the degree of ambition – but the means chosen to achieve those objectives were not necessarily ideal. There were too many separate objectives and too much reporting, the procedures were too laborious and the administration too unwieldy. Against this backdrop, many have seen the Lisbon Strategy as a big failure. It is true that all the objectives were not achieved but progress was made in most areas and considerable progress in many of them. As Bernstein would say, the movement is more important than the goal. Without the Lisbon Strategy, the economic crisis would have taken an even greater toll on the member states. The watchwords of the new strategy are streamlining procedures, simplifying objectives, committing member states, finding sources of new growth and also (hopefully) “naming and shaming”. Mario Monti, a former Commissioner for the internal market and competition, said that the Internal Market Scoreboard, which monitors implementation of internal market legislation, came in for a great deal of criticism when it was first launched. Subsequently, its fiercest critics came up and shook his hand, thanking him for the initiative. It got the member states to implement the legislation more quickly. Nobody wanted to come bottom of the table. In Finland there is a deep-rooted urban legend that Finland “obediently” implements everything immediately and without delay. The rest drag their heels and “use to their best advantage” the fact that the legislation is not implemented all that rigorously. Implementation is worst of all in the southern and new member states, according to the legend. Legend is all it is. The most recent statistics to emerge from the Commission last November show the implementation rate to be 98.63 per cent on average. Latvia and Germany top the list, each scoring more than 99 per cent. Spain comes seventh with a score of 98.92 per cent. Finland occupies sixteenth position. Our implementation rate is one hundredth of a percent below average – skier Juha Mieto’s bitter defeat at the Lake Placid Winter Olympics springs inevitably to mind. However, it is true that Italy and Greece lag behind, both with scores slightly under 98 per cent. The challenge for Spain is to implement its programme, to handle drafting work efficiently and to pass on files to heads of state for decision at the right time. The job of the rotating presidency is still to lead all the Council constellations – with the exception of the External Relations Council – and to lay the foundations for the work of the European Council via the General Affairs Council. One of the new features of the Lisbon Treaty is a heightened coordinating role for the General Affairs Council. While it holds the presidency, Spain will face its biggest challenges in managing the Union’s external relations. High Representative/Vice President Lady Catherine Ashton chairs her first Council on 25 January. This will be her job for the next five years. She will be the external face of the Union and the one that US Secretary of State Hillary Clinton will ring in the event of an emergency. Henry Kissinger can finally rest in peace. Another source of ridicule has been removed. There is a lot more involved that just chairing meetings of the Council. From now on the Union will be better placed to optimise its handling of external relations, have a better chance of achieving a jointly agreed policy and an opportunity to speak with one voice on the world stage. The role of the foreign ministers of the member states will change, Lady Ashton will be primus inter pares and the foreign ministers will support her as a group. Lady Ashton will also be supported by the External Action Service and will be in charge of the Union’s representations around the world, formerly Commission representations. Getting all this up and running is one of the big challenges of the Spanish Presidency. Lady Ashton is expected to table her proposal no later than 30 April. The preparations will be made in close cooperation with the Commission and the member states. The External Action Service is meant to become operational in spring or early summer. Its activity will be developed in stages, but the idea is get the member states involved from the outset. According to plans, a third of the civil servants would come from the member states. Preparations in Finland are well underway to send experts to both to the headquarters and to the representations. This Spanish presidency is already the third since Finland joined the EU. 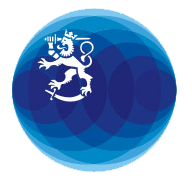 The first coincided with the second half of Finland’s first year of membership, and the second was in 2002. Our experiences of both those presidencies are extremely positive. Spain is a European by conviction, has an efficient administration, well-versed ministers and capable officials. The machinery that Spain deploys in the drafting work would be a hard act for any member state to follow. Working days are long, and experience has shown that (as a rank-and-file delegate) you may well get fresh instructions as late as eight o’clock in the evening. Let me share a little anecdote that I remember from the early days of Finnish membership from before the Spanish presidency in 1995. Back then I was the Deputy Permanent Representative and my field of activity was Coreper 1. We were dealing with the Trans-European Networks, i.e. transport connections by land, sea and air. One of the requirements for receiving funding was that any investment had to be intended for a fixed place. This posed us with an unusual problem. We wanted financing to be able to keep sea routes open in winter, and our justification was that 85 percent of our exports and imports were transported by sea. For this reason, we applied for permission to finance the construction of icebreakers. Unheard of and quite impossible, we were told. We struggled on in the working group, yet were unable to find a solution. The matter was referred to Coreper. I gave it my best shot and no doubt my voice began to tremble as I got into my stride. There was no sympathy on any side. I soldiered on regardless. In the end, my Spanish colleague spoke up. In his usual calm way he said that it was time for us to listen to our Finnish colleague a little more carefully. He has a problem – a slightly unusual one that does not fit the mould – but even so, our job is to find a solution to it together. From then on, the problem began to sort itself out, and eventually we found a solution in the Council that was wholly satisfactory from a Finnish perspective. My Spanish colleague had risen above the rest and looked at the issue through his European glasses. Without his help the matter would not have been resolved. Something like that is not forgotten in a hurry. That same colleague is now the chair of Coreper II (my current field of activity). I am looking ahead to this presidency calmly and with confidence. We are in good hands.